lawpilots has set itself the goal of supporting medium-sized companies and large corporations the legal challenges of digitization. With our e-learnings, which are specially adapted to fit the needs of your company, we enable you and your employees to meet the challenges of legal topics. We offer you individual solutions available in many languages, from course adaptations to legally compliant reporting, to embedding the training courses in your internal learning platform. Maximize your training budget with our innovative training courses. Low costs, no IT effort, fast availability of customer service. Our integrated reporting offers liability-relieving documentation of the training courses as proof to clients, supervisory authorities, and audits. Our training courses are available in over 30 country and language versions. We also offer multilingual customer service for you and your employees. If you wish, we can adapt the appearance and content of our training courses to your requirements – even for your internal learning platform. We collect only the minimum amount of personal data for the training courses and store it on Deutsche Telekom servers in Germany. We cooperate with the renowned law firm Schürmann Rosenthal Dreyer Rechtsanwälte and the consulting firm ISiCO Datenschutz. You have the choice whether you want to do the training via the lawpilots platform or internally within your organization. We export our training courses in all common formats for learning platforms (SCORM 1.2, SCORM 2004 1st-4th Edition, AICC or TinCan/xAPI). As a special solution, you can also embed our training courses directly into your intranet without a learning platform. Privacy is everyone’s business. 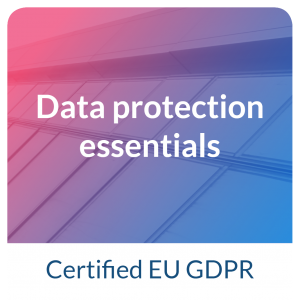 We therefore also offer a data protection essentials course for all those employees who normally do not work on computers. High quality training for 2,400 employees in Germany, Austria, France, Great Britain, Italy, Spain and the Netherlands. Kaldewei trains its employees in Germany, France, the Czech Republic, Italy, Poland, Russia, Spain and Great Britain with lawpilots. lawpilots trains 800 employees of the Rothenberger Group with innovative online courses.